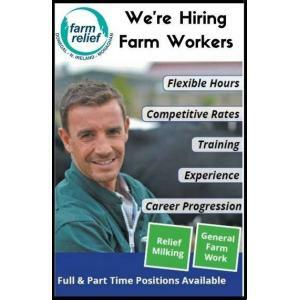 Relief Milkers & General Farm Workers Required throughout Donegal, Northern Ireland and Monaghan. Both full time and part time positions available on dairy, beef and pig farms. Agricultural experience will be advantageous in the selection process. If interested, please fill out the application form via the link below or contact Chris on 003538602922922.